So this is really ‘Good News’! 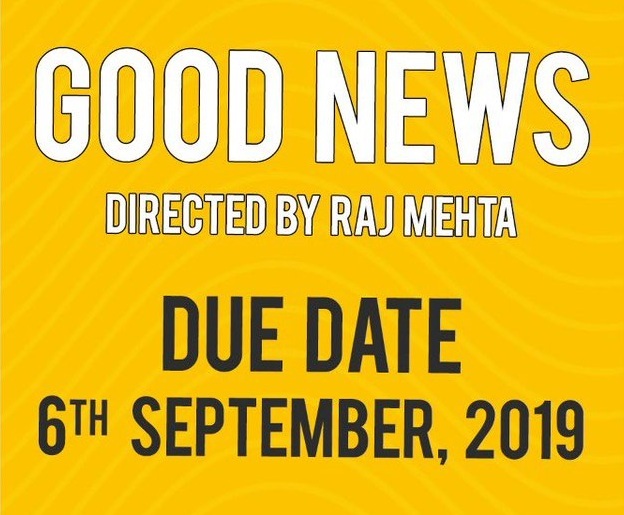 Good News that already kick started a month ago will come out on 6th September, 2019. The film has Akshay Kumar, Kareena Kapoor Khan, Kiara Advani and Diljt Dosanjh in lead roles. Aksha, Kiara and Diljit took this news to share it on social media. Good News is based on the journey of two couples: Kareena and Akshay, Kiara and Diljit. The film will portray Akshay and Kareena trying to have a baby. This will be exciting to see as Akshay and Kareena will pair up after years. Good News will be helmed by debutant director, Raj Mehta under Dharma Productions.